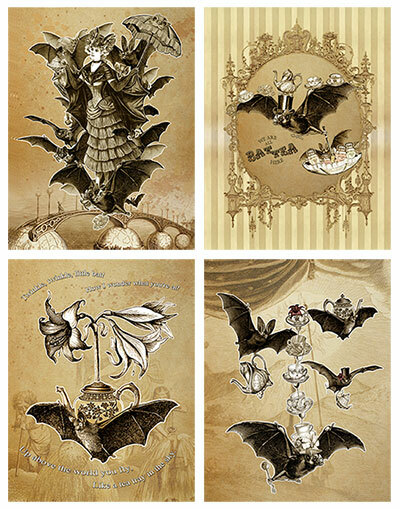 Tea Bats Art Prints | The Attic Shoppe Trading Co. 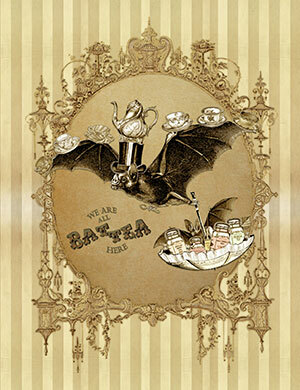 The Attic Shoppe is pleased to now offer art prints for our Tea Bats collection. 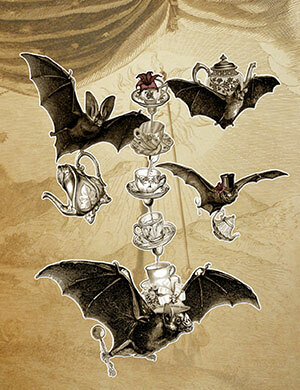 Our art is offered as lustre prints with a matte finish. 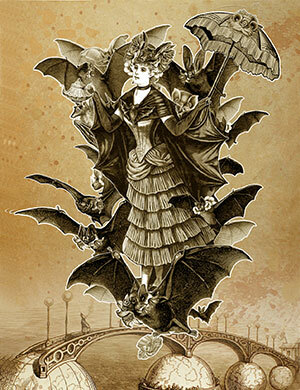 Our standard size is 8 x 10 inches or as mini prints, though we will take requests for different sizes. 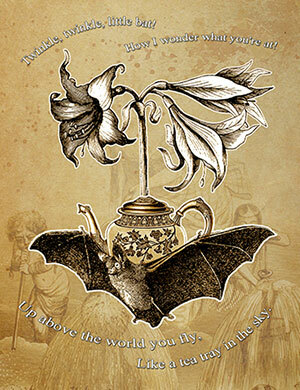 Our shoppe prices are for US orders only at the moment. This is temporary. Please visit our FAQ page for explanation. 8 x 10 prints for $40 plus discounted shipping!